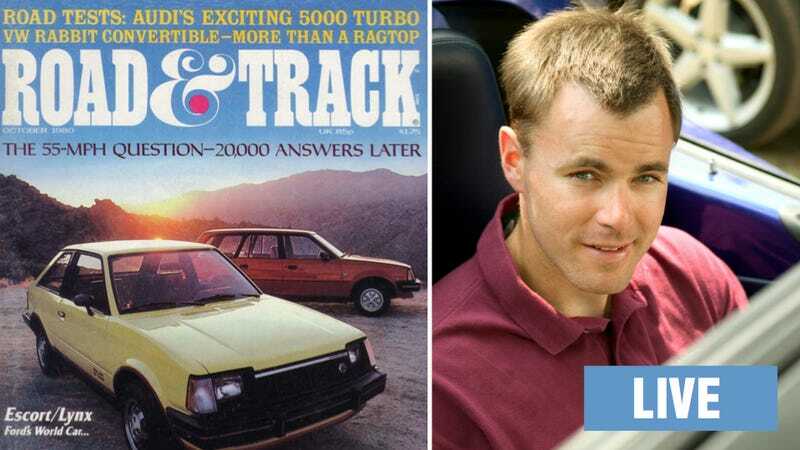 Earlier this summer Hearst announced it was basically firing everyone at Road & Track, moving the magazine to Ann Arbor, and putting former Popular Mechanics editor Larry Webster in charge. His mission? Completely overhaul the magazine. Webster agreed to answer your questions, right here, about the world of buff books and how Road & Track is going to differentiate itself on a crowded news stand. It's hard to argue that Road & Track, a favorite for many car enthusiasts for the last half-century, is a leading car magazine anymore. It's a great brand, but their web traffic is dismal, their ethos hazy, and their stories easy to ignore. Therefore, a change was inevitable and wise. The first change was bringing in Webster, a veteran of Car And Driver and Popular Mechanics and someone well-respected by anyone with sense. He's a gearhead's gearhead with an enviable understanding of how cars work. He also hired former Jalopnik editors Sam Smith and John Krewson, thus proving his wisdom. Still, there are many challenges ahead. The web is obviously the future for almost every type of publication and Motor Trend, amongst the buff books, has a large lead in the digital space. Road & Track is still looking for someone to run the digital side of the magazine for them (if you're interested in that sort of job contact them), which means it could be months before they've got a plan. If Webster fails, that's probably the end of the magazine, but perhaps that's a kind of freedom. Staffers at the magazine describe it as an opportunity to change the magazine and, potentially, the entire business. Now it's Webster's chance to explain what that means and answer your questions. UPDATE: Big thanks to everyone for asking questions, and to Larry for answering them. He has to go back to fixing the company's test LeCar and would like to remind everyone interested in working for R&T to email them.